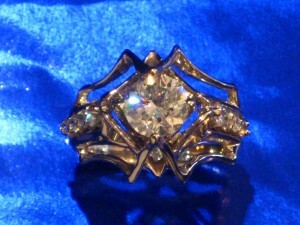 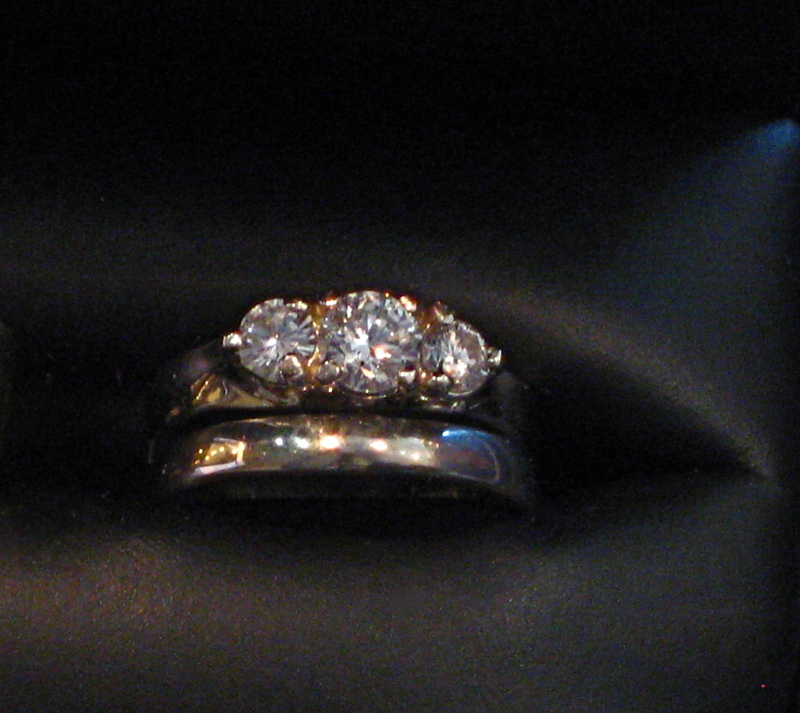 There is a variety of hand made wedding rings in the case you can make a selection from. 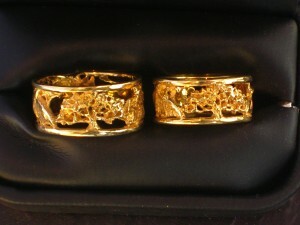 These limited production and one of a kind pieces make any of these wedding ring sets special. 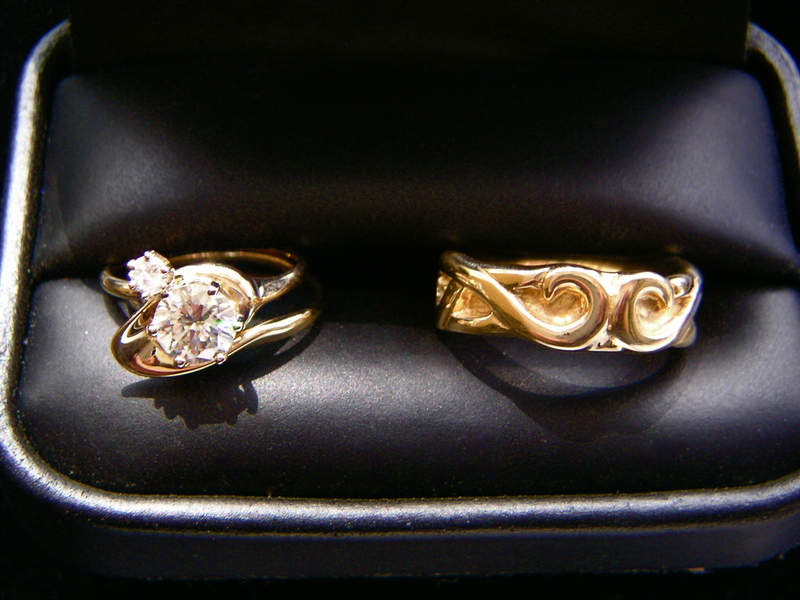 Custom designed platinum and 18K gold wedding rings like these with Princess cut diamonds were purchased from Kirk Milette’s shop in Laguna Beach. 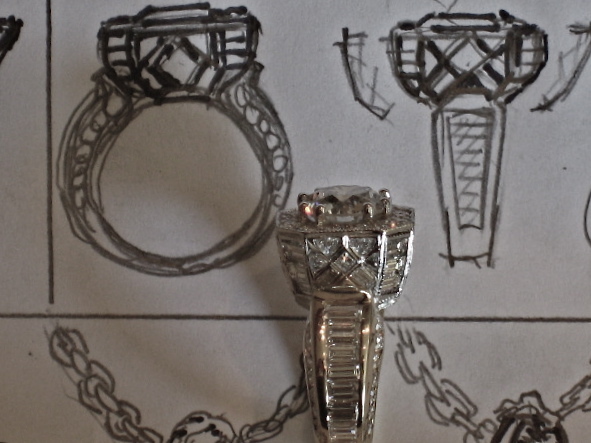 All Custom Designs are carefully sketched and the details are gone over, we will figure out the; size, color, quality and cut of the diamonds to be set in your custom order. 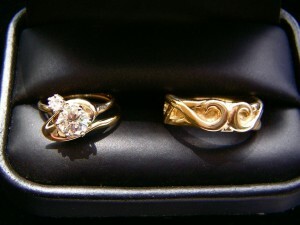 These choices will personalize the symbols of your love. 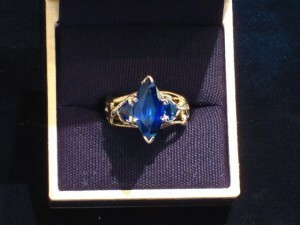 You can select unique Gems to personalize your rings. 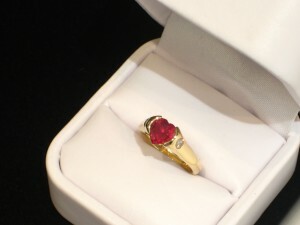 The gems can be pre-viewed, from a wide selection or located if you are looking for something that is not on hand. 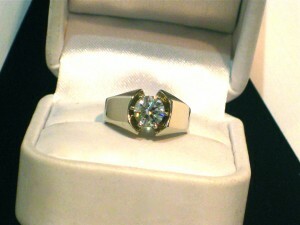 There are a multitude of options of; color, size, shape and quality. 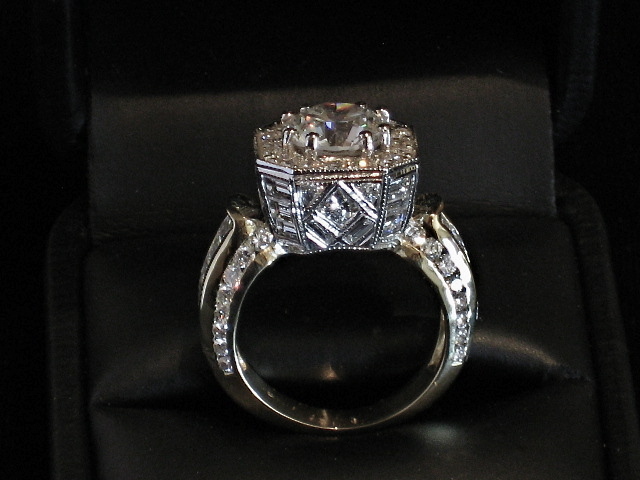 We are here to help make your custom ordered wedding rings fill your dreams. 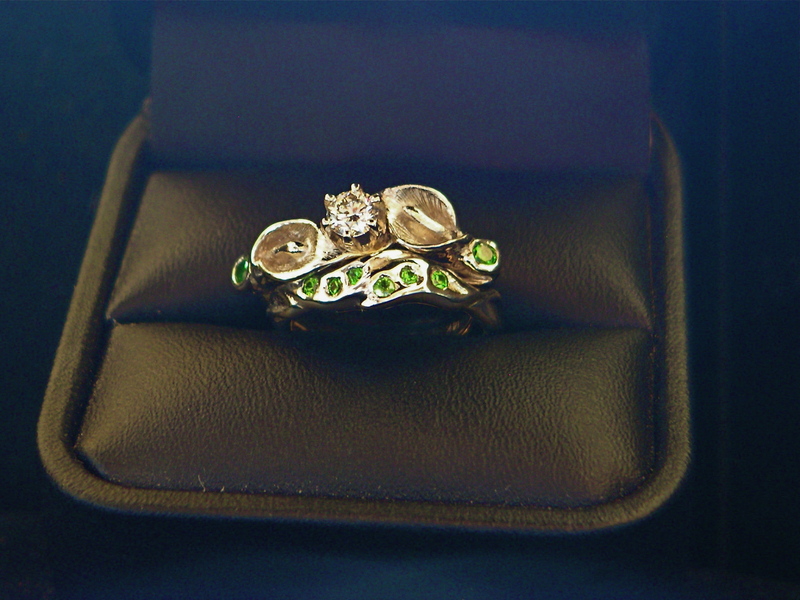 This custom ordered 14K Lily ring set featured; 9 rare green Demantoid Garnets, and a .33 ct. Diamond. 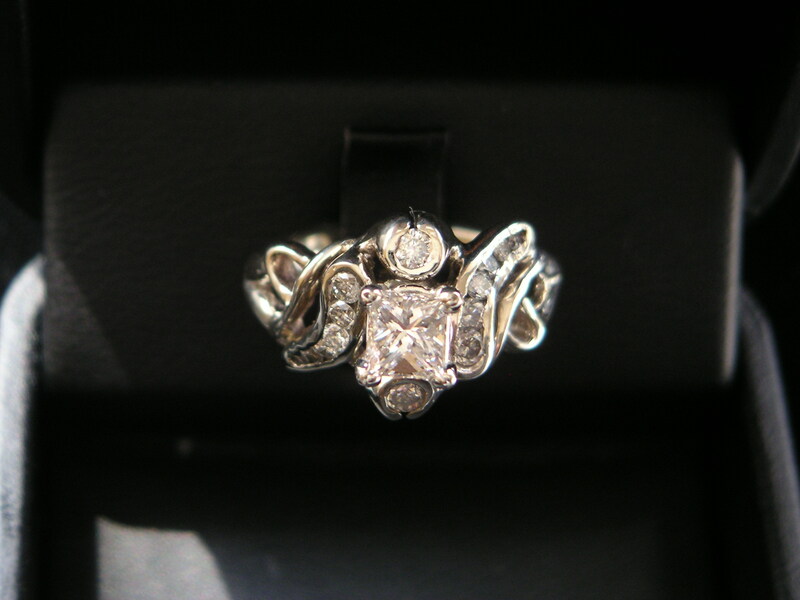 The fine details and selected Gems really made this wedding ring set special unlike anything you would see in any other store. 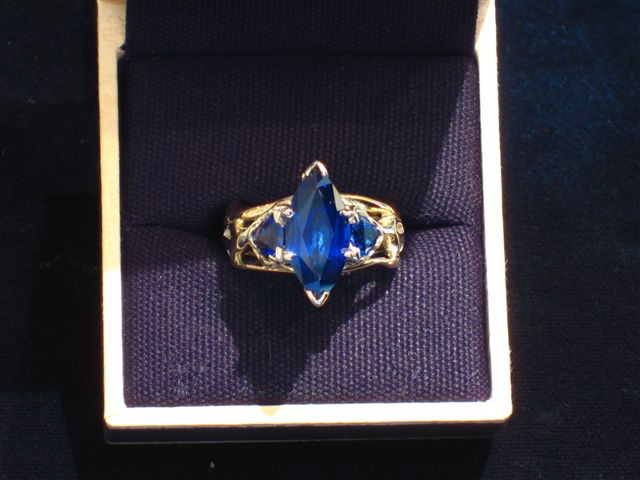 If you wanted all Diamonds, or Sapphires, Rubies, Amethyst or Aquamarines. 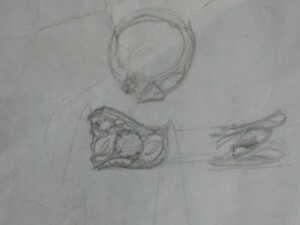 Any of these could be set into your custom ordered rings. 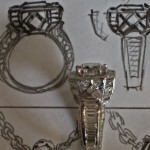 Kirk will assist you with hand drawn sketches (think old school craftsman). Just about any design that be conceived can be produced. 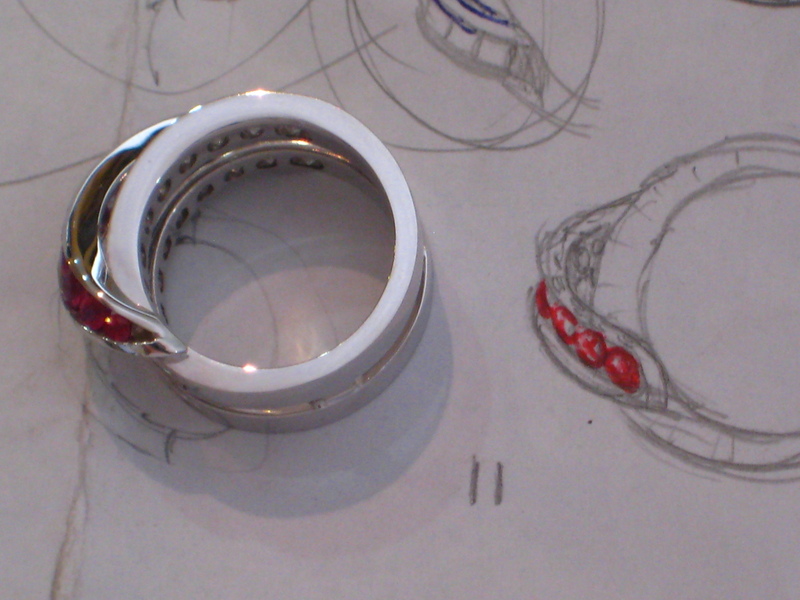 Here is a small cross section of custom ordered wedding rings. 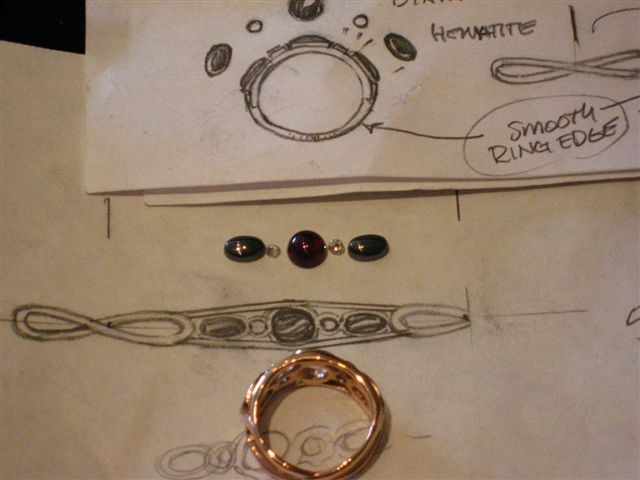 All of these ring designs were designed with clients. 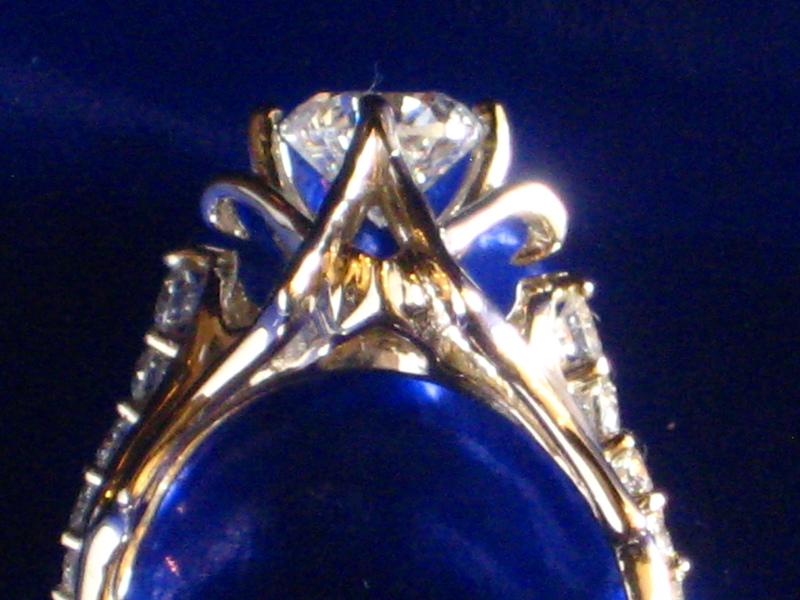 The character and attention to detail carry over into the final design. 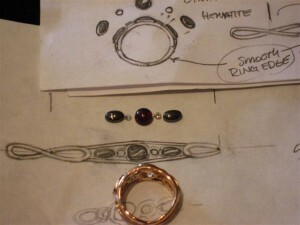 After setting the gemstones and hand finishing the custom order becomes a work of art. Many of my clients say they can’t find the ring or pendants they want. 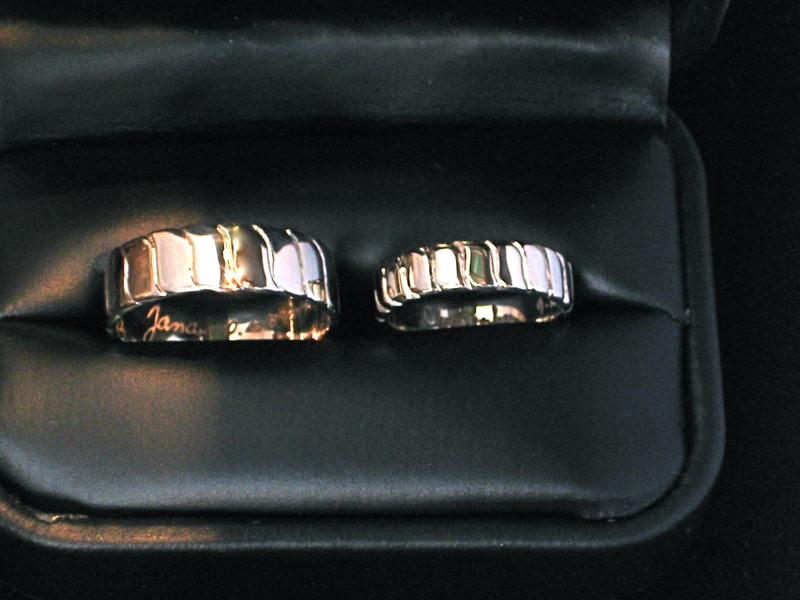 Together we have made exactly what they have been searching for. 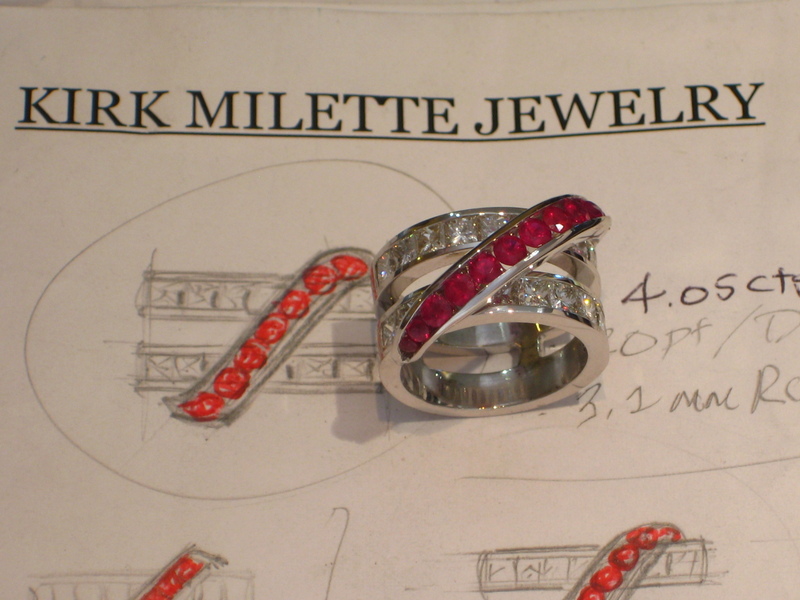 If you choose to Custom order wedding rings with Kirk Milette Jewelry we will make the special piece of jewelry you have been looking for, and you get it directly from the designer. 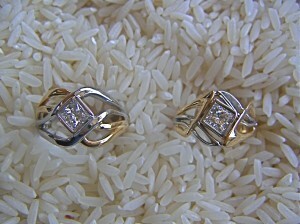 We listen to what is important to you and turn your dreams into reality. 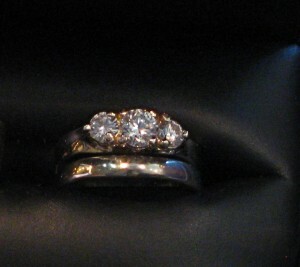 We have a nice selection of finished wedding rings and hand made wedding bands to select from also. 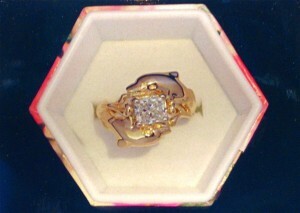 Custom Remounts often feature a center Diamond, that has been in the family. we can make it into a solitaire or add matching diamonds around it. Here we added a vintage looking tapestry of smaller princess and baguette diamonds set on the sides. 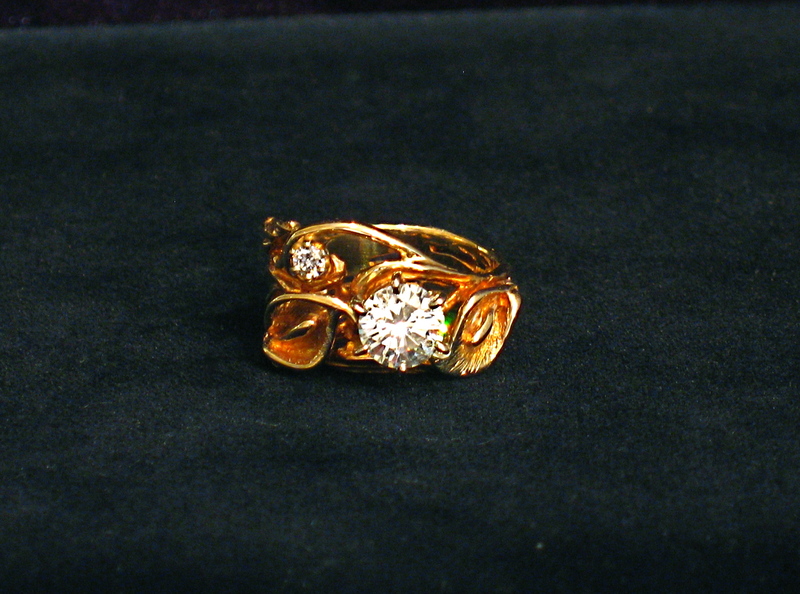 The Personal choices are varied, the finished items unique, each with a story all their own.